A united approach from industry and government is required to end fuel poverty in the UK, explained by Roger Webb, director of the Heating & Hotwater Industry Council. 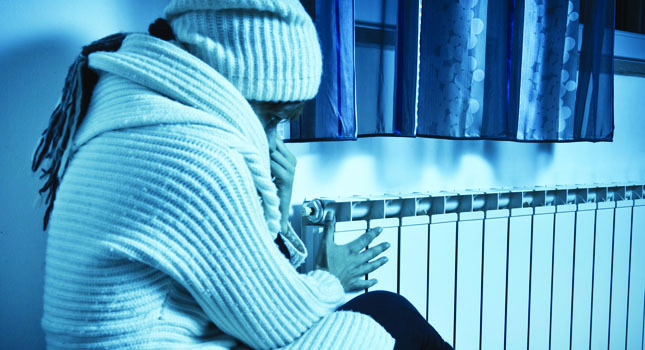 Fuel poverty is a stark reality, but it isn’t just about keeping warm – as vital as that is. It’s about the relentless poverty that forces 6.59 million UK households – who are currently defined as being in fuel poverty – to make impossible choices between heating and eating, because they can’t afford their energy bills. Establishing a robust strategy of the kind required by an issue such as fuel poverty is a major task, but we are not starting from scratch. There are policies in place, albeit not the complete cohesive package that will deliver what is needed. Action to tackle fuel poverty to date has, rightly so, been based upon improving energy efficiency standards. The Heating & Hotwater Industry Council (HHIC) has been actively looking at ways to improve the energy efficiency of the UK’s ageing housing stock, and progress has been made. Last year, around 230,000 low-income and vulnerable households received energy efficiency improvements under the Energy Company Obligation (ECO), which HHIC has been working on with the Department for Energy & Climate Change (DECC) since its inception in 2010. In July 2014, in order to better align existing policies like ECO, DECC launched ‘Cutting the cost of keeping warm – a consultation to prepare for a new fuel poverty strategy for England’. HHIC is pleased that DECC has shown its commitment to fuel poverty by publishing the consultation, which demonstrated the government’s current thinking and enabled us to provide feedback on behalf of the industry. However, we are concerned that it is light on actions, which could affect how much work will actually take place. The ambition has HHIC’s full support, but it remains unconvinced that using “as is reasonably practicable” in the wording for the target will drive action. Without a defined target that can be measured against, it will be difficult to gauge future progress or the speed of it. Targets will also help drive the political agenda, but how can political buy-in be gained if the status of fuel poverty is not directly measurable? What HHIC would prefer to see, is a road map of milestones that can galvanise stakeholders into taking action, and enable progress updates detailing what has been achieved against the targets set. Understanding progress will help shape future action. In the short term, the key to achieving this target is ensuring condensing boilers are installed as a minimum in all homes. Currently there are around 12 million properties that do not have a condensing boiler, and 4 million of those are below an ‘E’ rating. ECO should be targeted to ensure these appliances are installed in fuel-poor homes. This is especially true of rural properties where ECO has not been widely available. An alternative form of funding or incentive may be required to help drive boiler replacement in such areas. In the longer term, DECC should also consider subsidies for the purchase and installation of low-carbon and renewable heating, as initial costs can deter take up, especially among the fuel poor. DECC needs to find a mechanism to help reduce the upfront cost. The Green Deal is not ideal in this circumstance, as the cost of the loan will be incurred via the energy bill, so the household may not see an actual reduction, negating the benefit. HHIC has long argued that heating controls are vital to allow households to reduce the amount of money spent heating their home. Recently, BEAMA produced a report based on research carried out by the University of Salford, which showed that, compared to a house with no heating controls, a properly controlled house could save 53% on heating bills. This illustrates the savings that could be made simply and cheaply. Full heating controls – that HHIC defines as thermostatic radiator valves (TRVs), a programmable room thermostat and a timer – are key to reducing energy bills. The reality is that, without controls, households will not realise the full benefits of energy efficiency measures, such as improving insulation, fitting a new boiler, or replacing windows. DECC should request that the Department for Communities & Local Government looks to mandate full heating controls in Part L of the Building Regulations for any central heating installation. It should also further support their use by encouraging a programme of education delivered by community groups. Of course, HHIC would prefer to see DECC look into more advanced heating controls, such as self-learning devices and weather compensation, as these reduce consumer input. Fuel poverty is a complicated issue to solve and requires government commitment, continual focus and innovation, as well as joined-up working and clearly defined targets. Only then will we have the package of policies that will deliver what is needed.